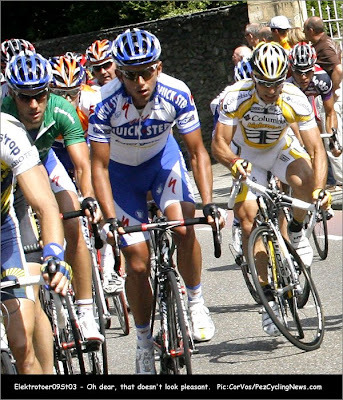 This photo from Pez Cycling News is from stage 3 of this years Ster Elektrotoer in the Netherlands. 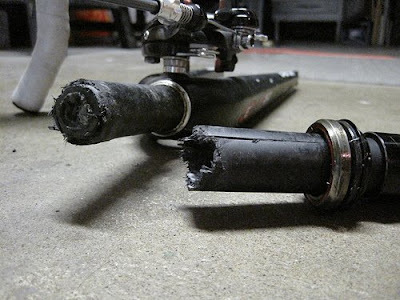 Amazing photo, we can all image what happens next. 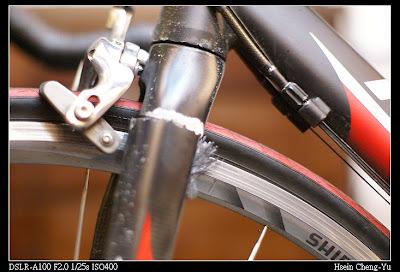 Mou sent me these photos of the broken fork on his Tank Matrix. 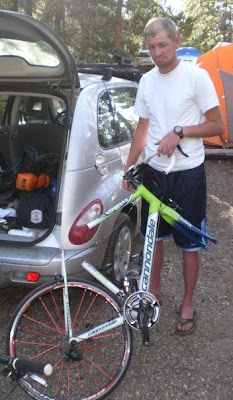 I'm not sure exactly what happened, but it involved a Toyota. 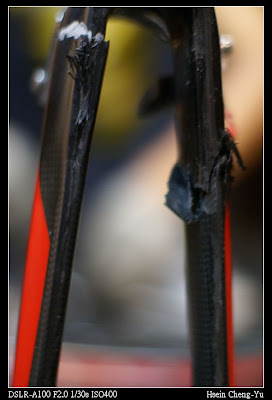 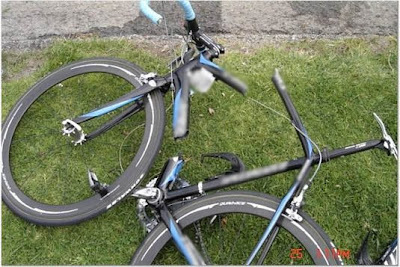 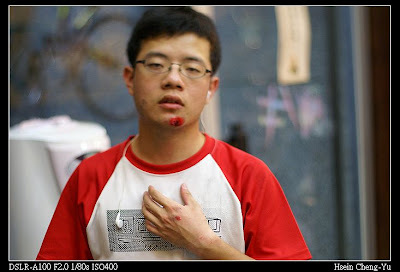 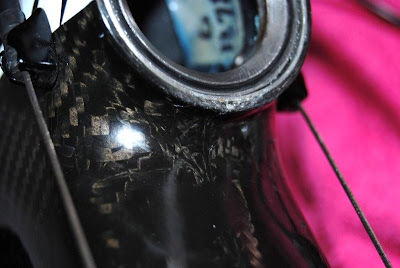 It's also nice to see the time and effort he put into photographing his busted carbon; great photos! 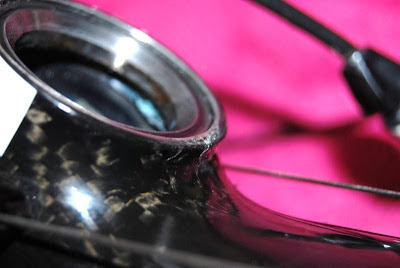 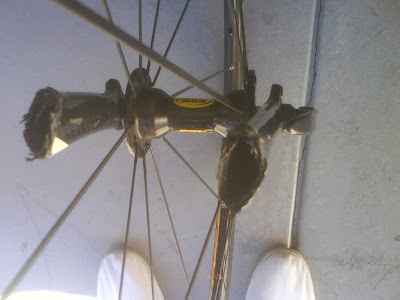 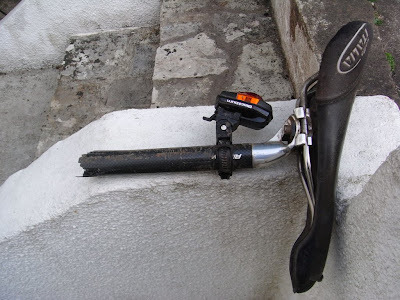 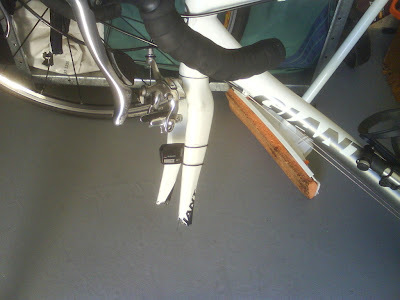 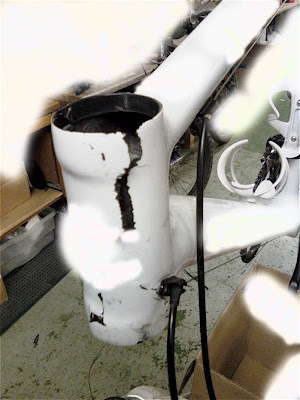 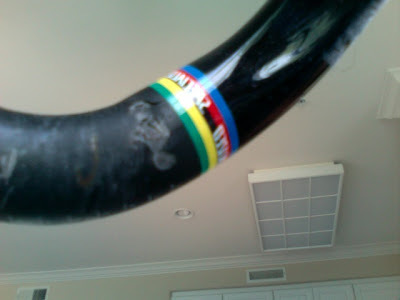 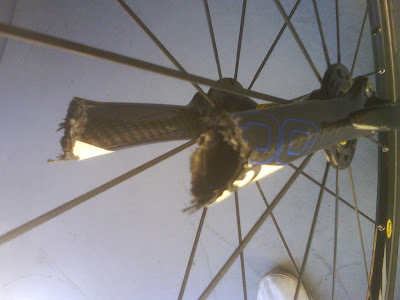 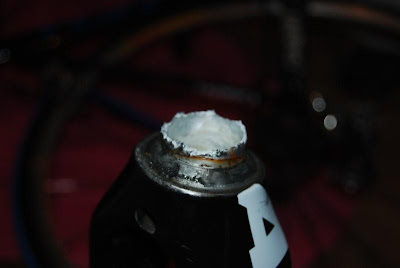 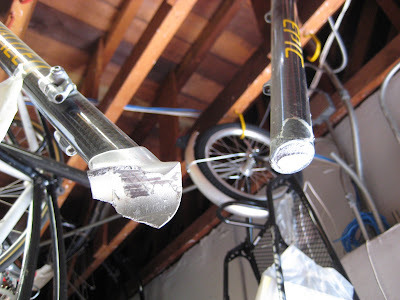 Pete just sent me this photo of his broken carbon seat post, but his carbon framed 1997 Trek Y33 is still going strong. 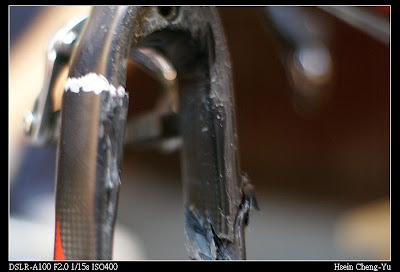 These frames have a lifetime warranty. 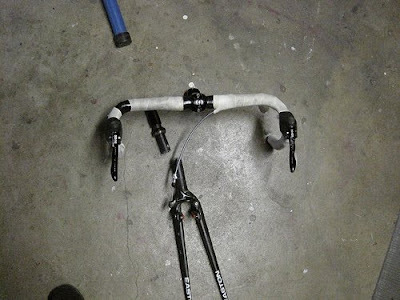 If it broke I wonder what Trek would replace it with? 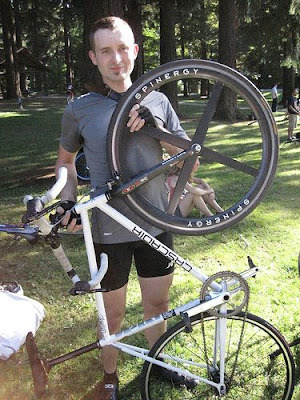 Nothing as cool, that's for sure. 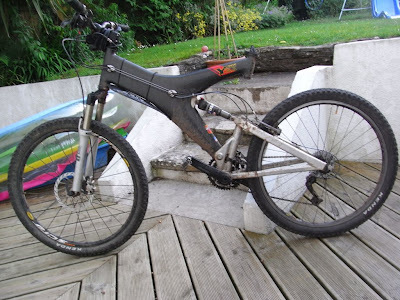 I love looking at these old mountain bikes, when Unified Rear Triangle was considered hi-tech, now it's only for Walmart bikes.